First four core RISC-V based FPGA SoC runs Linux #RiscV #FPGA #Linux @MicrochipTech « Adafruit Industries – Makers, hackers, artists, designers and engineers! Microchip’s Microsemi unit unveiled a low power, real-time deterministic ‘PolarFire #SoC’ architecture for Linux edge devices. 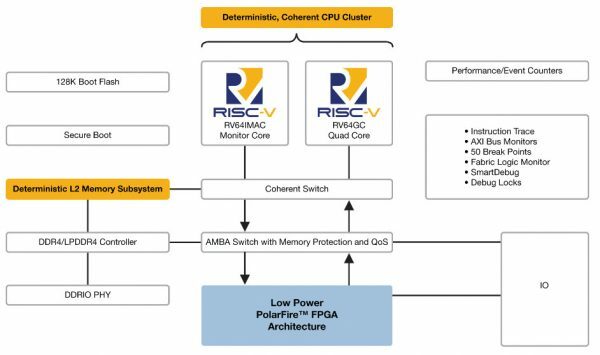 The chips combine its PolarFire #FPGA with 4 RISC-V CPU cores supplied by SiFive. Combining the open source RISC-V cores with FPGAs can bring alot of power in a small package. See more about the announcement and details on linuxgizmos.